Kutsurogi-no-Yado Nanakawa offers private maisonettes with a private outdoor hot spring bath, a Japanese-style living room and free wired internet, a mere 1-minute stroll from Lake Kinrin. 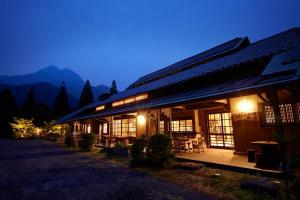 A free shuttle is offered from JR Yufuin Station. 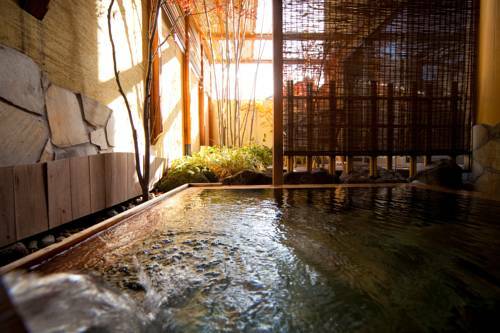 Air-conditioned maisonettes boast an outdoor hot spring bath, a private terrace and a Japanese-style living room. They’re fitted with Western beds, an LCD TV on both floors and a seating area with chairs and a coffee table. 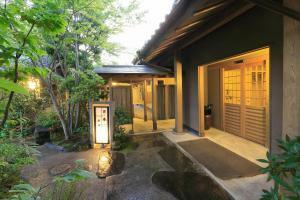 Amenities include a fridge, yukata robes and an attached bathroom with toiletries. 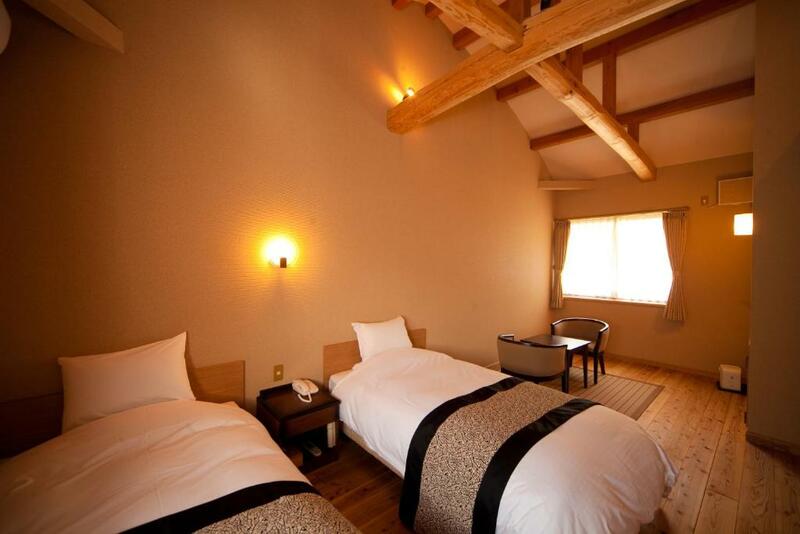 Hotel Nanakawa Kutsurogi-no-Yado is a 2-minute walk from Yufuin Folk Craft Village (Yufuin Mingei Mura), and a 15-minute walk from Yufuin Museum. JR Yufuin Station is a 5-minute drive. 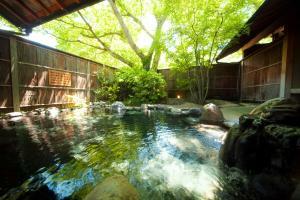 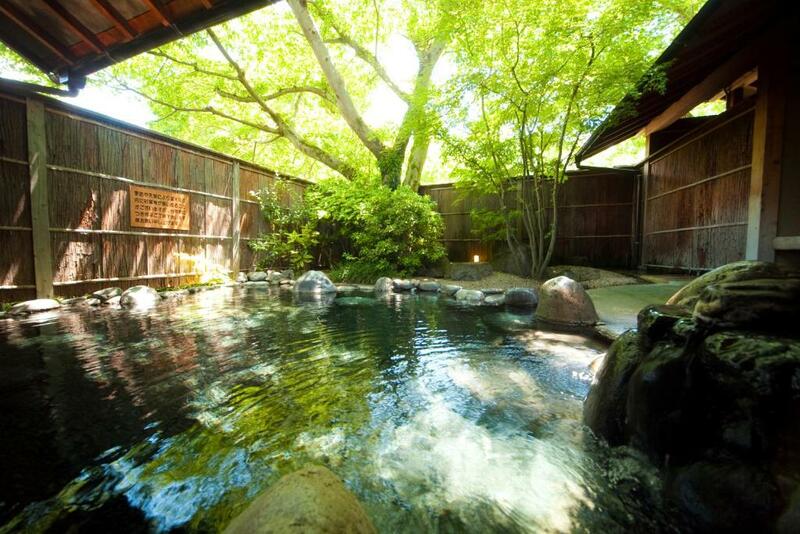 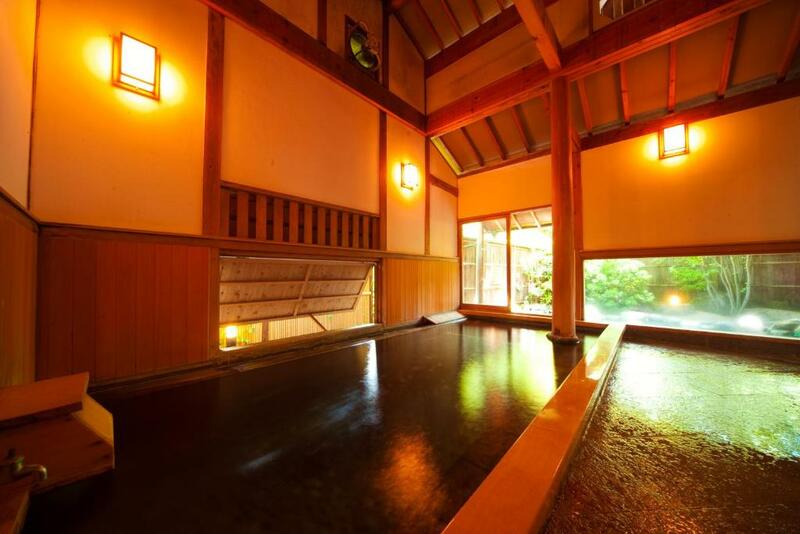 Guests at the Kutsurogi-no-Yado can unwind in a public hot spring bath and a hot public bath, free of charge. 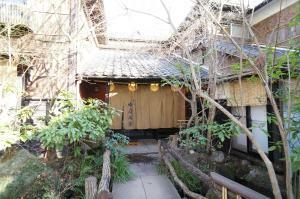 The baths are a few steps from the rooms, and they’re part of neighbouring inns in the same compound. 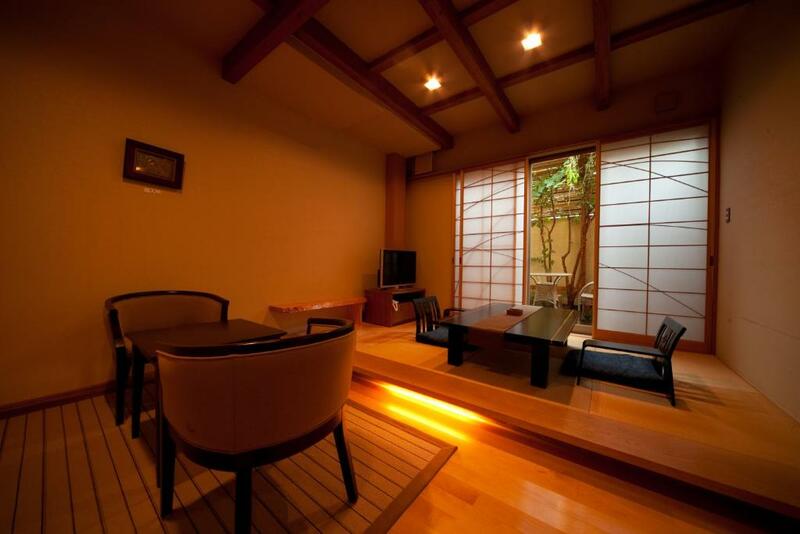 The property serves a Japanese breakfast and a traditional multi-course dinner featuring seasonal dishes and the famed local Bungo beef. 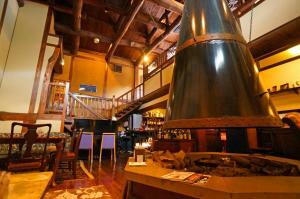 Meals are served in the compound’s dining room.